Don't be a Jimmy! You know you want that 30xp for Gears 2. Vote up Raam so we can all get out wings! Developers of SSFIV tell us what they've done to balance 6 of the characters. All around us, it looks like spring as the cherry blossoms are beginning to bloom. But with the heat generated from the National Tournament, it feels like we skipped spring and went straight to summer! I'm really grateful to those who participated. Thank you very much! And we also had a huge announcement from producer Ono! 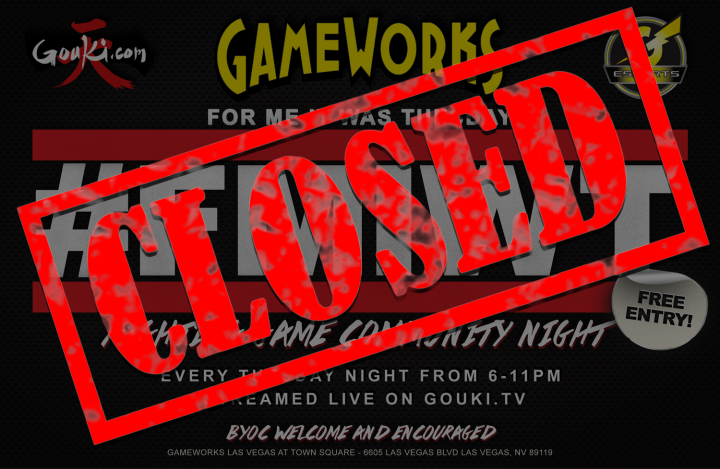 SFIV arcade players, thanks for waiting! I was also a bit surprised, but I believe that the confirmation of an arcade release of SSFIV happened because you all poured out your hearts for it to Ono! That's really great! But it looks like we're gonna get busy again! This week, continuing on from last week, together with the battle planners we'll be talking about the character adjustments for Guile, Dhalsim, Balrog, Vega, Sagat, and M.Bison. Let's get right into it - please tell us about the adjustments for Guile. Since Street Fighter 2, Guile has been a character who can't do his special moves instantly, but with plenty of good normal moves. Since we wanted to work on that area in Super Street Fighter 4, he's the only character in all of the game who we've made adjustments to his charging time, and we've also made some big revisions to his normal moves. We also worked on his offensive priority quite a bit. We've also changed the functionality of the Guile High Kick (Down-Toward + Hard Kick), which many people didn't quite know how to use. 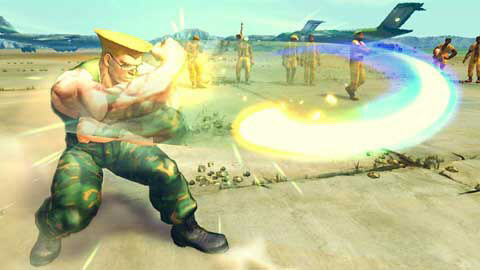 In SF4 we intended for it to be an anti-air for when Guile doesn't have a charge, but in SSF4 we've added combo functionality to it. Combo functionality... which means we can juggle after it? Yes. You can juggle after it with EX-Flash Kick, etc., and you can use it in combos. We've also adjusted his Spinning Back Knuckle (Backfist) so that you can combo it after a Sonic Boom. We've also made it so that his Reverse Spin Kick (Upside-Down Kick) makes low attacks miss more easily, and tried to make him more like his old self. We've also made some corrections to his combos. Yes, we have. The Guile players who gave it their all with his combos, they didn't really get enough reward for their efforts. That was the biggest thing about his combos, so in SSF4 we took that into consideration and we're adjusting the amount of damage his link combos do. What about adjustments to his special moves? 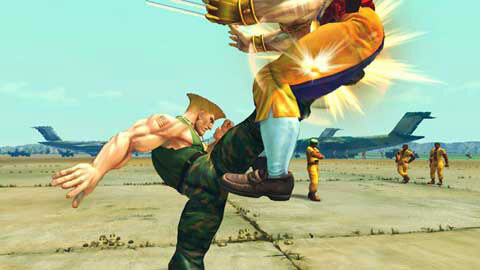 Guile is all about the Sonic Boom. 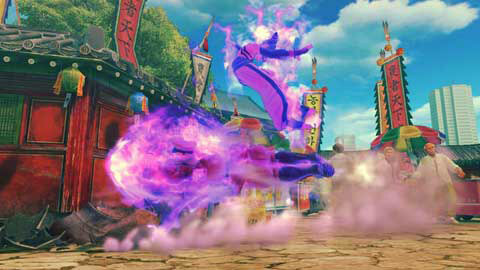 But in SF4, when getting into a fireball fight he ended up on the losing side. That's not really Guile. Even though his Sonic Boom is a charge move, he's supposed to be the one to win in a fireball fight. So in order to get closer to that idea, we've made some slight adjustments to the charge time for Sonic Boom to make it stronger. What type of move is his new ultra, Sonic Hurricane? As the Sonic Hurricane is a move based on being grounded, you can use it to pressure your opponent, do chip damage, or just keep your opponent in front of you and stop them from moving. We've also made it so that it can be used in combos. So then because of that, it does a little less damage than his Somersault Explosion Ultra I. So if you want to take off big chunks of damage, use Somersault Explosion, but if you want an all-purpose attack plan with lots of variations, then you can use Sonic Hurricane. Sounds like Guile's been buffed up. Yeah, I think he's risen up to the middle class at least. We've also given him a fun new move, so if you can use it when you have a chance I'd be happy about that. Ah, this was a bit of a secret topic during Hakan's reveal trailer. Guile's sunglasses. If you enter in the command, Guile puts on the sunglasses. Do it again, and he takes them off. ... And that's really all it does (laughs). We also wanted to make the sunglasses cancellable. Jump Hard Kick, Standing Hard Punch, Sunglasses! (laughs) But this would just aggravate the player on the receiving end, so we gave up on it. Next, tell us about Dhalsim's adjustments. The character who won the first national tournament. Dhalsim is a character where the players have found a lot of really interesting ways to use him, which surprised even us. But his overall damage output was kind of low, so the reward for reading your opponent wasn't that great. So if the player wasn't exceptionally skilled, there were many rough spots in using him. Although there was the thought that if we made him stronger in Super Street Fighter 4, those who were already good with him would just be even better, but as we wanted a wide range of Dhalsim players to be able to enjoy him more, we decided to give him some improvements. Isn't he the only character who hasn't has some kind of numerical reduction? Yeah, I think we talked about this the last time, but in order to increase the number of turns in a fight* we've reduced the damage output in general for all characters - all except for Dhalsim. His damage was low to begin with. Also, we've slightly increased his counter attacks. Since Dhalsim is a character who has difficult normals and trouble with footsies in close, we've improved his throw, and made his Drills better, which many people wanted. So for the Dhalsim players who felt like they lost once their opponent got in close, in Super Street Fighter 4 I think that will be a better fight for you. We haven't changed the speed of Yoga Fire, but EX-Yoga Fire now goes full-screen, so you can pressure people from areas you couldn't before now. What type of move is his new ultra, Yoga Shangri-la? Yoga Shangri-la is a move that can be used during Dhalsim's unique jump arc. As its for grounded use, it won't throw an airborne opponent, but its really good when used with his teleport. To put it simply, Yoga Castastrophe is a move for starting an attack string, while Yoga Shangri-la is a move for ending one. The hitbox for Yoga Shangri-la is pretty big, and sort of similar to the headbutt Drill. So its difficult for an opponent to tell in an instant whether Yoga Shangri-la or Headbutt Drill is coming, and that adds some variation to his attack patterns. Now then, please tell us about Balrog's adjustments. As Balrog was already a pretty strong character, I think he was pretty high up in the tiers in Street Fighter 4. So we wanted to keep his current playstyle intact, but make his freedom of use a bit better. Probably the biggest adjustment is that we've re-examined his input priority. In SF4, his Dash Uppercut and Grand Dash Uppercut sometimes wouldn't come out, or would come out on their own, so we've adjusted this. How about his new ultra, Dirty Bull? Dirty Bull is a throw type move that deals out massive stun. Balrog is a character who can make his opponents clam up and then deal out chip damage, or if he breaks their guard he can deal out big rushing damage. But if he has his opponent guarding, for the most part he can really only do chip damage. So now he has the Dirty Bull, which is another way of breaking his opponent's defenses. As was said before, the move does massive stun - so if you hit it after getting in a good rush attack, there's a high likelihood that your opponent will be stunned. For those looking to dish out big damage, you'll want to stick to Violent Buffalo, but if you want more ways to pressure your opponent, then I think Dirty Bull is a nice choice. Now please tell us about Vega's adjustments. We've made Vega stronger! Probably the biggest thing is that we've given him more overheads. 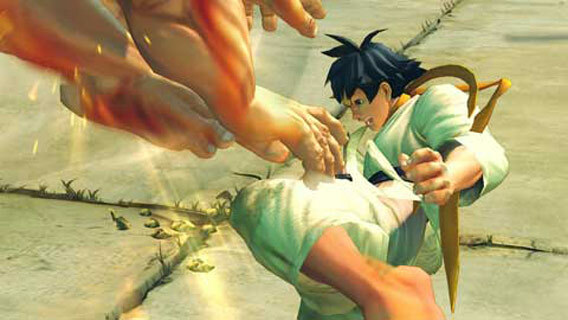 His Piece of Mercury (Down-Toward + Medium Kick) was a high attack, but in SSF4 it now hits overhead. Many people said it was hard to get knockdowns with Vega in SF4, but with this attack hitting overhead now this should increase his attacking options. Also, we mentioned this before, but we've made his claw and mask more durable, so they don't come off so easily now. We're also adjusting his vitality even when he has the mask and claw, so I believe players will be able to use a stronger playstyle. We've also increased the invulnerability periods on all his special moves and made them stronger. To give some specific details, we've made his Scarlet Terror unthrowable, so it can be better used against Zangief's Screw Pile Driver. Also, his Medium Punch Rolling Crystal Flash will cause guard stun until the very end, so he doesn't have to worry about it being interrupted by an attack with invincibility, and can use it safely as a chip-damage move. First, we've vastly improved his Bloody High Claw. Now it hits on the way up, the same as his EX-Flying Barcelona Attack, so there are more situations in which he can land it. Also, Splendid Claw reduces his hitbox and moves along very quickly. Bloody High Claw does good damage and is good for anti-air, while Splendid Claw is for grounded opponents. I think Splendid Claw is easier to use than Bloody High Claw, so that adds to his strength. 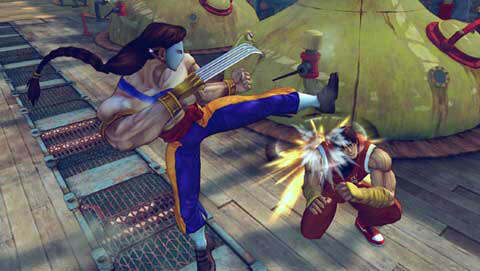 Many people feel that Vega isn't quite as agile as compared to his Street Fighter 2 version...? 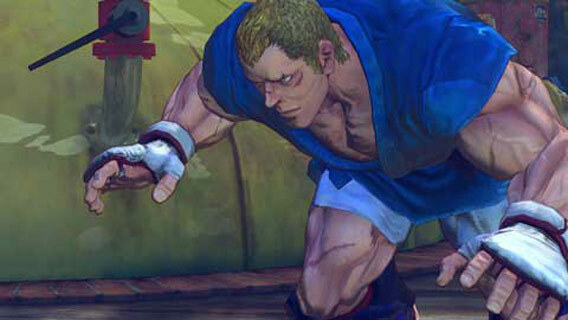 Really though, in SF4 Vega is one of the most agile characters in the game. It's just that he's tall and his legs have a particular movement to them, so if you look at the image it doesn't look like he's moving much at all. There were also a lot of opinions that his claw throw-away move came out too easily. We have taken another look at the inputs for that. Except for those who do a lot of inputs from crouching position, it shouldn't really come out on its own anymore. Well then, now tell us about the adjustments to Sagat. 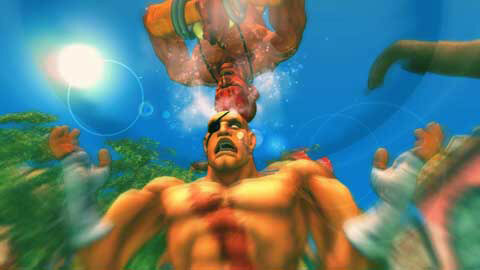 Sagat was well known as a strong character, and we on the development team felt so as well. This time around, we wanted to retain what he could do, so we went with reducing his damage output. Using the moves and combos he often utilized as a reference, we adjusted his attack power, and we also took another look at his Jumping Medium Punch, which people felt was lopsidedly strong. Of course, you have to read your opponents movements in order to be able to hit them, but as his combo window for attacks was on the long side, we adjusted that as well. Basically, the situations where he can just throw something out and it will be okay - those have been reduced. Yes. If you look at him as a whole, the nerfed parts sort of stand out. But we thought that just nerfing him was kind of sad, so we've given him a new move. 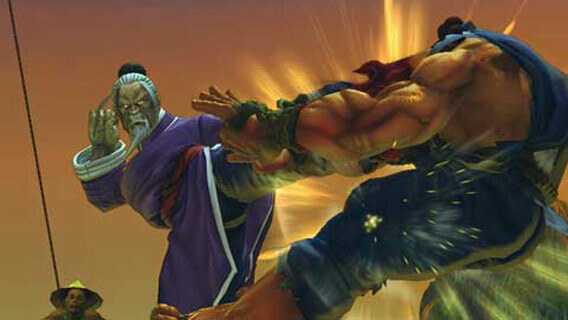 The "Angry Charge" (Angry Scar) uses up meter, but affects the functionality of his Tiger Uppercut. If Sagat hits Tiger Uppercut during Angry Charge, it does more damage, and it increases your chances of beating your opponent with an air combo. So this is something you should try to do when you have meter. 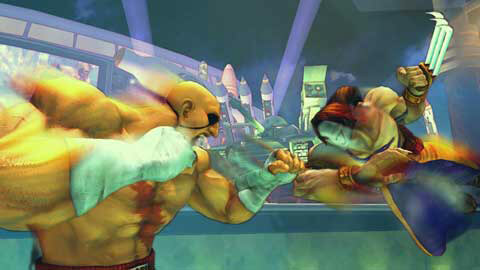 Sagat was called the strongest in SF4 - what do you think his position is in SSF4? Now, I feel like he's either 1st or 2nd. 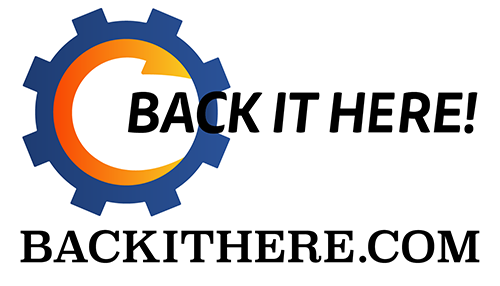 Its not that his position has changed, but our adjustments have allowed for the other characters to close the gap on him. So its not that we've just made him weaker, but we've made the other characters more competitive with him. So for the players who used Sagat before, instead of thinking that they won based on the character's ability, now they can think that Sagat is strong because the player is strong. What type of move is his new ultra, Tiger Cannon? In contrast to Tiger Destruction, which moves him forward, Tiger Cannon is a powered-up version of his Tiger Shot. As Ryu is his rival in the story, we also figured that Tiger Cannon would be a nice accompaniment to Ryu's Metsu Hadouken. It doesn't have the destructive power of Tiger Destruction, but its a projectile move that can be used regardless of where the opponent is on screen, and I think it will be nice for those who want to improve their footsie game. And finally, tell us about the improvements to M. Bison. I think there are a lot of skilled M. Bison players in SF4, but Bison didn't really have a good go-to move. Bison's signature move is his Psycho Crusher, so for our adjustments we took another look at his usage of it. The usage of Psycho Crusher? We've increased the functionality of Psycho Crusher to bring back the "Psycho Tail" image from back in the day. In the past, it would do chip damage even after he passed through the opponent, and trip people up, so we've made adjustments to bring that back. It was often said that the Psycho Crusher was useless in SF4, but now you can use it on wakeup to give Bison an advantage. Are there any other areas that have been changed? We've improved the EX-Psycho Crusher's ability to negate fireballs. So now he can nullify a fireball and keep on with his attack. What kind of move is his new ultra, Psycho Punisher? His ultra in IV, Nightmare Booster, was mainly meant for in-combos, and has high damage output. So his new ultra, Psycho Punisher, is a move to help M. Bison against projectile characters. He flies in a parabola, so in those times when projectile characters are zoning him out now he can use this ultra. Also, the biggest feature of Psycho Punisher is that its a command move. So you can use it without having to store a charge. Do you have a message to everyone looking forward to playing the game? 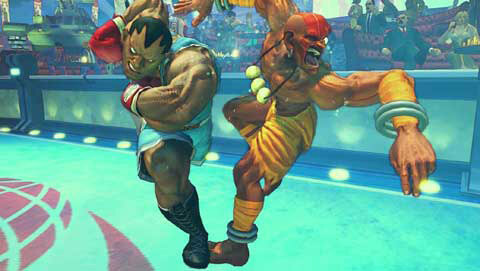 Of the characters we talked about this time around, I believe people were the most concerned about Vega and Sagat. We've improved Vega so that he finally feels like one of the strong four bosses (Four Kings i.e. the World Warrior bosses), so to all the people who have stuck with Vega I really want to say thank you. 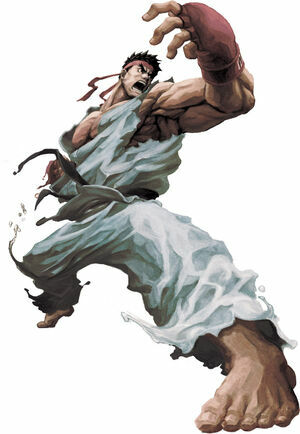 As for Sagat, as Ryu's rival I don't think his position as changed, but he has a lot more openings than he did in IV. So for people fighting against Sagat, be sure to take advantage of those openings and take the fight to him, and I think it'll be a good match. 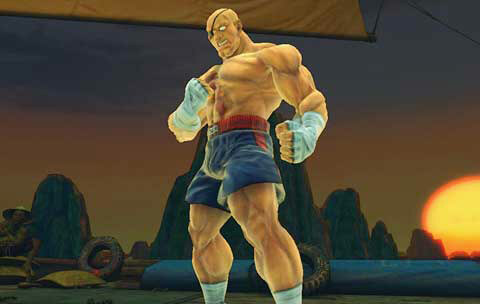 For Sagat players, you may feel that he's really been nerfed, but he's got a new move, and his position as The King (or, the emperor) hasn't really changed, so please enjoy him in this game as well. Well everyone, did you enjoy today's entry? Sorry to those whose characters we haven't talked about yet. Please wait just a little while longer! Next time we'll be talking about the adjustments for El Fuerte, C.Viper, Abel, Rufus, Seth, Akuma, and Gouken. 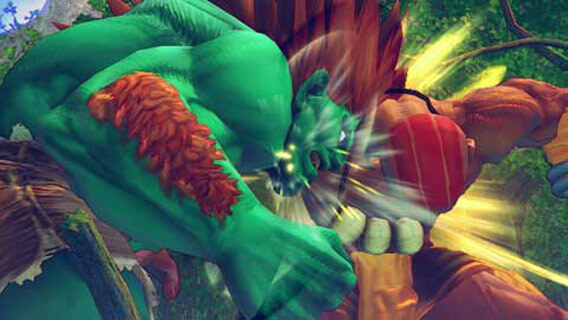 Super Street Fighter IV Pre-Order now and save!